Bastian Schweinsteiger and Phil Jones ruled out. Joe Gomez and Mamadou Sakho ruled out. Dejan Lovren, Nathaniel Clyne, Adam Lallana and Georginio Wijnaldum doubtful. Liverpool FC (nicknamed The Reds) are an English professional football club based in Liverpool, England; and were originally founded in 1892 as Everton Football Club and Athletic Grounds Company plc, before finalizing on the name Liverpool Football Club and Athletic Grounds Ltd after a dispute between the Everton FC board and John Houlding (the owner of Everton's former premise at Anfield Road). 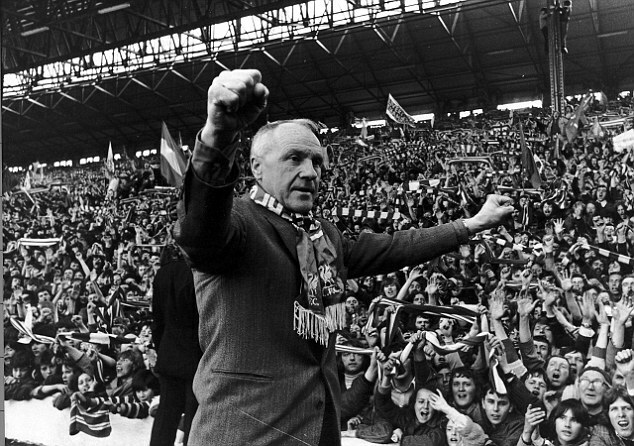 One of the most successful and storied clubs in the history of European football, Liverpool have won 18 English league titles, 5 European Cups, 7 FA Cups, and 8 League Cups, peaking in the 1970s and 1980s, first under the enigmatic Bill Shankly, and then his 'Boot Room' successors. 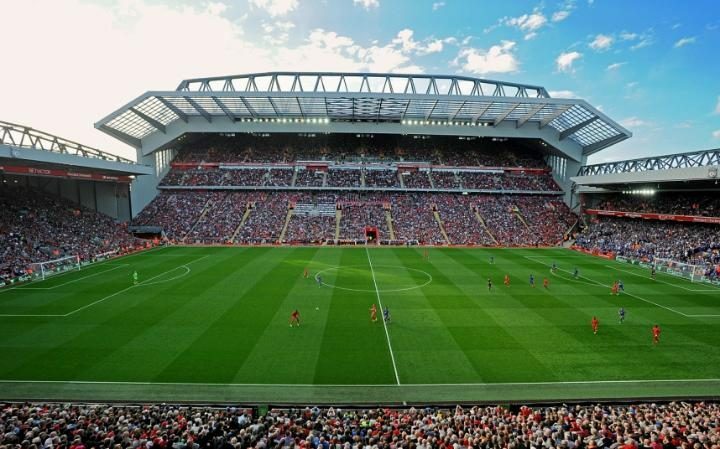 Although Liverpool's fortunes as a domestic and European force have dwindled in the past 25 seasons, they still have a massive global support-base; and share two fierce historic rivalries - with crosstown rivals Everton FC (The Merseyside Derby), and Manchester United (who ironically rose back into consistent title-winning prominence as Liverpool declined). We're gonna get destroyed. Their team will be well up for it, the atmosphere will be incredible, and we'll be atrocious. I expect Rooney and Fellaini to start, and it'll finish 4-0 or 5-0 to Liverpool. Can see we're positive about this game. Think we'll win this one. We will loose this spectacularly, which tells all about where we are at as a team at the moment. There are more talent in Martial, Pogba and Rashfords curry shits than their entire team combined. Still they play like Barcelona while we hump around doing our best Yeowil Town impression. Stop spouting crap like that. We will lose this unfortunately. I'm going to bury my head in the sand before this game. We are truly going to get battered. Liverpool this season ate a team of battlers. We're a team of bottlers.....pretty clear what's going to happen. We will get destroyed. After all the money we have spent that is a disgrace. Add to that we have a far better squad than Liverpool, perhaps shows something is rotten at United. What have we done to deserve these last few years. It's hardly crap. Take off the rose-tinted glasses for a moment. Liverpool are playing significantly better than us at the moment, have a very recent history of taking big teams apart in big games, and their crowd will be on fire. Sure, you can think we'll put up a good defensive display and emerge victorious, but saying those who think we'll lose badly are talking "crap" is just arrogant meaningless nonsense. 5-0 Liverpool. We will see one team play with fire and desire for 90 minutes the other team will be Manchester United. At least 3-1 to them unfortunately. Better get the fecking double decker bus out and hope for a 0-0 or a jammy 0-1 win. We're going to get smashed off the park. Excited for this one. Hopefully Lallana, Lovren and Clyne (all missing international duty with injuries) will be fit by the time this game comes about. I feel like there's more pressure on United to win this based on how the last few games have gone for both sides. I don't like to make score predictions before these games but I'm confident we can pick up the win if we're on our game. Set pieces are a big concern though. Press them and they're there for the taking. People forget their own defensive worries. They certainly have the capability to take us apart but if we fight them with tempo and fire their players aren't exactly Iniesta under pressure either. I'd easily take a draw, these guys can rip a team to shreds when they're on top. Plus they seem to love the big games. An Anfield game. They'll be up for it. If they start strong and press us off the park(like City), then it'll be a massacre. At least 3 goals. But, their defense can be gotten at. So maybe we can nick a goal. 3 points and no less. Don't give a feck about it being at Anfield. We've dropped too many silly points already and can't afford to let Liverpool nor City widen the gap. Hope Mou goes out to win and not park the bus like he was criticised for in big games during his Chelsea reign. Some of you are a disgrace. We were good today and were better then Liverpool yesterday. Hard to tell if some of you mardy cnuts are serious or not. Will be a tight game. Play to the same intensity and performance levels like we did for most of today and I'd fancy us to win. Liverpool is very good this season though, especially in big games, so it will be a tough. After drawing today though a win would be huge. We haven't been playing badly. Daft to think we'll get rolled over. We just need to put the ball in the net. It's the annual 'everyone is overrating Liverpool' phase of the season. We'll beat them. 1-1. I would take it now. We have to win. feck some useless draw that becomes irrelevant when we lose to Chelsea a week later. Win and try and get a run-going. Be interesting to see how you line up in midfield , if Pogba stays forward and doesn't track back you may have problems containing our attack. Herrera should have been suspended after that challenge today. Don't think we'll see the ball much. We'll either be in our own half or pressed off the ball to death. We're hardly the greatest counter attacking side. I don't see us winning. Don't agree with all the pessimism in here. If anything them coming after us can work in our favour, Rashford and Martial are very dangerous on the counter. They didn't exactly blow Swansea away yesterday and were lucky to get their win. The most important thing is that we come in with the desire, hunger and strong mental attitude; and then we stand a great chance. They are shite defensivley, United will ruin them on the counter attack with the pace of Martial and Rashford.